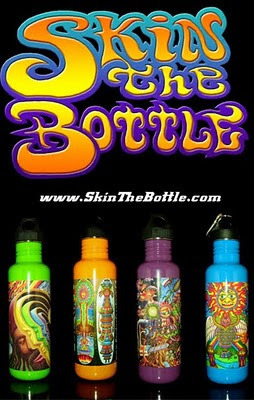 Skin the Bottle is a company from San Francisco that produces metal bottles (that unlike plastic ones are non toxic) that have bright colors and artwork on them. They recently gave me a 6 bottle series on their webpage where you can order these puppies online. Go to www.Skinthebottle.com and go to the street art section. If you order today, you dont hav eto pay for shipping fees, so get on it! !